When you experience the loss of a loved one there is little that can truly fix a broken heart. However, knowing that people are thinking of you and care about you is definitely one of the few things that genuinely help in such a tragedy. So if you know someone who has just experienced a bereavement, be sure to send sympathy flowers as early as possible. At Handy Flowers we specialise in top-notch sympathy flowers: we have a range of existing, classic bouquets to choose from. Or design something unique to add that special touch. Call 020 3409 3030 and order sympathy flower delivery with ease! Our customers have told us over the years that they almost didn’t send condolence flowers to friends or family because they simply didn’t know where to start. Are there certain types of flowers you should send? How soon should you send them? Should you include a message, and if so what to say? These are just some of the most common questions our florists get asked, and luckily they are questions they can help you answer. So if you are confused around the etiquette of condolence flowers, speak to our experts, and they’ll happily offer some advice and support to help you get it right. 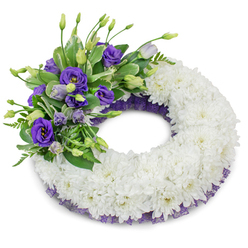 Often when you learn of bereavement you desperately want to order sympathy flowers straight away to show your love and support for the grieving family. However, that doesn’t automatically mean you have time to visit your local flower shop to arrange them. Luckily, at Handy Flowers we can help you send sympathy flowers online so that you can still show your support for the family, without causing yourself stress over trying to get to a florist. We have a range of pre-designed options to choose from, or if you prefer, you can design your own bouquet. Whatever you need, we’re here to help. When you learn that someone has passed away you may not always be close by to express your sympathy for the family. However, that doesn’t mean you don’t want to do something to show that you’re thinking of them, and sympathy flowers are an ideal way to do this. Especially if you don’t want to bother people at this time. We can help you send sympathy flowers anywhere they need to go. It doesn’t matter if it’s a local address or you need to send sympathy flowers outside London, our expert florists will get it done. 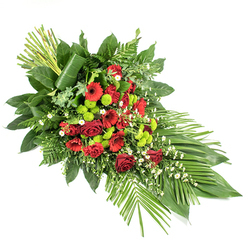 Dial 020 3409 3030, give us the details of your order and we will provide the swiftest sympathy flower delivery! 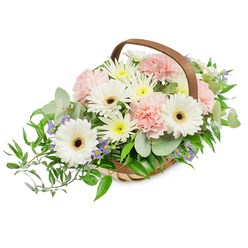 Having sent flowers for condolence to the family, you may also decide to send funeral flowers as well. This could be the case whether you are attending the service, or if you’re unable to. 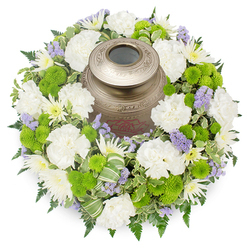 Our expert florists are able to offer advice and support in funeral flowers as well as sympathy flowers. 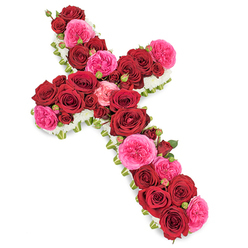 We can help you to choose the right floral display for the person who has passed away, making it personal to them, and finding unique ways to honour their memory. Speak to our florists today if you’d like to know more. Upon learning about the death of someone you know, it’s common to want to show the deceased’s family that you are thinking of them. However, a phone call or visit can be overwhelming for those grieving, so sympathy flowers are often a more appropriate choice at this time. And if you don’t want to wait, that’s absolutely fine because with our same day flower delivery you don’t have to. You can express your condolences straight away and let the bereaved family know that you care. To have sympathy flowers delivered today, place your order as soon as possible! 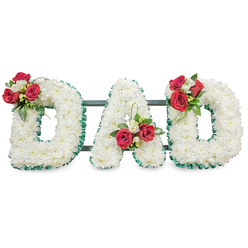 To show your respect for the family of someone who has died, and also to the memory of that person too, it’s vital to choose first-class flowers. Our team not only use the very freshest flowers for all of their floral tributes, but all our florists are highly trained experts in their field. So when you choose us for funeral or sympathy flowers you can trust that you are getting the best quality flowers delivered, no matter what design you choose. To see previous examples of their work, visit online flower shop and you will be astounded! For many of our customers, they enjoy being able to speak with a florist and discuss their needs. This is never more important that when designing flowers for funerals or sympathy bouquets. We are your local florist, providing flowers for all kinds of events, from births to deaths and everything in between. We are specially trained in funeral arrangements, and you are welcome to visit us online or call anytime to discuss your needs and find out how we can help. 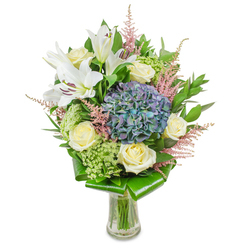 Order sympathy flowers online!